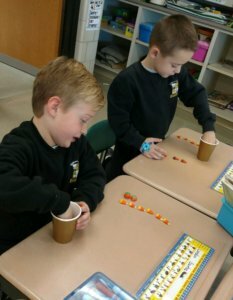 Hands-on learning is fun in kindergarten! 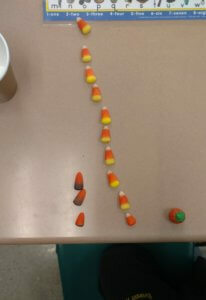 Last week, Mrs. McGrath’s class graphed candy corn and pumpkins during centers. From the graph the kids knew what candy had the most and least. The best part was eating their “graphs” at the end!